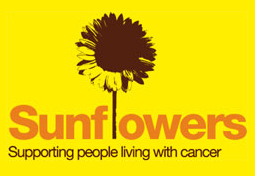 On the 12th October, Liverpool charity Sunflowers Cancer Care held a pub crawl with a difference. The event, organised in conjunction with Tony Vaughan of Sight-See Liverpool was a competition through the streets of Liverpool’s business district which involved visiting 10 well established Liverpool watering holes which needed to be identified from clues. In addition a variety of objects were to be collected which needed to be identified from a further set of cryptic clues. As it was a pub crawl, Formby Surveys needed no further persuasion and duly entered two teams (with what turned out to be quite different ideas about how the evening should progress!). Lets put it this way, one team set out to win and the other set out to enjoy themselves, with the first team nearly succeeding the second definitely succeeding! The event, which was very well organised, started in Exchange Bar on Old Hall Street (which ironically FSL have just surveyed – see blog post) and finished in Ma Boyle’s Oyster Bar in Tower Gardens. One of the teams from FSL narrowly missed out on winning by a whisker with the second team finishing some 90 minutes later but with the added enjoyment of having experienced (properly) all 10 pubs!